Pichola is named for Lake Pichola, and looking over images of the lake and its palace-studded islands is a pleasant way to while away your morning online, if you were in need of one. So like the other perfumes in the Neela Vermeire Créations line, Pichola was inspired by India. Perfumer Bertrand Duchaufour's composition, like that of his recent Ostara for Penhaligon's, comes with a long list of notes (cardamom, cinnamon, saffron, juniper, magnolia, neroli, clementine, bergamot, orange blossom, rose, tuberose, jasmine, ylang ylang, benzoin, sandalwood, driftwood and vetiver), and I believe Pichola is classified as a floriental, but if you were expecting a heavy, winter-weight spicefest, you couldn't be more wrong. Pichola is the sheerest from the brand so far, and to my nose, the easiest to wear. Pichola starts out dewy and soft and springlike, and while the lasting power is good, it gets softer and closer to the skin as it develops — it might not make much of an impression dabbed from a little vial.2 The opening is juicy citrus, done in pastels and judiciously spiced (if you lean in close, you will recognize the spices listed in the notes, but none of them jump out at you, and I would not really call Pichola a spicy fragrance other than in the early stages). The floral notes, heaviest on the orange blossom, with the tuberose and jasmine also evident, manage to stay safely in 'dewy and soft' territory — there is nothing heady or indolic here — while simultaneously giving an impression of creamy lushness, lightly sweetened by the ylang. The base is a pale woody musk, maybe more sandalwood-ish than driftwood-ish. It's clean, and indeed Pichola is clean overall, but happily, there is nothing to suggest detergent, and just enough spice lives on through the dry down to keep things interesting. Verdict: I thought Ostara was gorgeous but too overtly clean for my tastes; Pichola is just plain gorgeous. It would have fit nicely into my recent post on pretty spring florals, and I'll be very surprised if it doesn't make my best of 2015 list. Fans of white florals should certainly try it, but so should anyone who wants a white floral but usually finds them hard to wear. I also expect that some people who have not loved the earlier fragrances from the line will find themselves smitten with Pichola. Still, I'm betting that others will find it too quiet after the first hour, so if that's a concern, do try before you buy. My own buy list functions mostly as a rating system now since I rarely buy anything (all I've bought so far this year is one bar of scented soap), but if I was still in collecting mode, Pichola would make my list. Neela Vermeire Créations Pichola is available in 60 ml Eau de Parfum, $235. 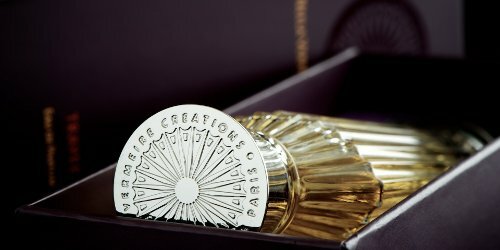 For buying information, see the listing for Neela Vermeire Créations under Perfume Houses. 1. I "met" Neela on MakeupAlley, way back in the early 2000s, and we have talked on the phone a number of times, although not lately. If I didn't like Pichola, I wouldn't review it at all, so in that sense, I think you can say that this isn't a totally objective review, if such a thing indeed exists. 2. Unlike Kevin, I am a light applier (and I often do review fragrances that I've dabbed from a vial), but I wore 6 or 7 sprays of Pichola to test it. As you said, this sounds gorgeous. I loved the first trio from the line (Ashoka somehow didn’t work for me) and I love white florals… There is a shop in Brussels that carries the brand, so I know where I’ll be next Saturday. Thank you for reviewing it in the end! I am very late — it’s had tons of reviews already, and if there weren’t so many I would have linked out to some. But so far it seems to be widely loved. It’s too expensive for me too — I’ve just about been priced out of niche! In this case, I do think NVC spends more on materials than many other brands, but I know that because I’ve talked to NV, so it really is irrelevant to the review — and totally agree that many expensive niche perfumes smell no better than cheaper mainstream scents. Yes, but also true that I am not going to pay for it, and in fact, have never yet paid that much for any perfume, so even if I was still buying, it would go on my buy list and then I would almost certainly never buy it. Interesting distinction: one can appreciate a very good scent at a high price point, though one may personally decide to not spend such sums oneself. And then there’s what seems to be the much more callous marketing enterprise – pushing (what seems to be) mediocre products at truly insane prices. Or – as you more succinctly put it: ‘willing to excuse even if I’m not willing to pay’! What comes to mind at the moment is Aftelier. I “get” her prices even if there’s probably no way I’d ever pay them. I ought to have a “ridiculous” tag since as I said, I can’t at the moment remember what prices I’ve complained about lately! And we all know some brands are pricing perfumes to appeal to a luxury market, without going to the trouble of making luxury products. Or, they are unaware of how pedestrian their products are! I’ve tried this only once—dabbed from a sample vial—and I need to revisit it, but my first impression was that there is an aquatic or “salty” note in there, not quite Calone but distracting nevertheless. I loved three of her first four, though, and now reading this I want to try Pichola again. Stepping in to say that I found it interesting that you mentioned Ostara in the review – because while the two don’t really smell *alike* to me, there are certain similarities that I can’t really pinpoint. Ostara is much cleaner (I didn’t get overwhelming white musk, which makes me wonder if I’m anosmic to whatever is in there), and the florals are springier, maybe less heavy? And at the same time, smelled side by side, they seem related much more closely than Pichola seems related to the three other NVs I’ve tried. Incidentally, I liked the first three and was surprised to find Trayee really drawing me, as it’s not at all my usual sort of poison. Haven’t tried Ashoka but I don’t think it would be my thing. I like Pichola, and have worn it several times since my purchased-unsniffed split arrived, and I enjoy it most of the way through its development… but it does go through this phase of very earthy, weedy, old-vasewater, and THAT I don’t like at all. It only lasts about half an hour on me, with the whole ride going about three and a half to four hours, but I really struggle with that. I really, really struggle with the fetor I get in that stage, and which tends to show up in at least many of the Duchaufours I’ve tested. Just GAH. I honestly think I’d rather suffer through the white musk, which I also dislike. I try to manage Pichola by turning my attention elsewhere while the mucky pondwater thing shows up – because the drydown is very pleasant. I found them definitely related in style, and interesting in that they both still fit nicely in their respective brands, although would agree still that Pichola is more like Ostara than like the earlier NV scents. BUT, Ostara from NV would be weird because it’s just so much cleaner than the others, and Pichola from Penhaligon’s would be a huge surprise because they tend much closer to “mainstream”. I am often puzzled by people’s references to weedy pondwater and have decided that either a) I am anosmic to weedy pondwater, or b) more likely, I like weedy pondwater so much that it just reads as green notes to me What NST needs is a reader generated “weedy pondwater alert”. I do think I might be anosmic to certain types of white musks – not all of them, but a lot of light floral things seem to just fade away to nothing fairly quickly, and I suspect I’m not smelling something that’s there. Some musks I do smell quite clearly. Shrug. Would not have said “green” at all about Pichola, so it may very well be a perception thing. Maybe I have too many murky ponds in my real life… just had to explain to a friend today that no, we did NOT swim in that pond in the front field. Why? … the cows stand in it. Ok, weedy/murky pondwater by definition is greenish to me! We may be talking about different things. I love that think you might be anosmic to pondwater, R! I’m not personally bothered by this weedy/old vase water smell, but I think I know exactly the note/accord people notice and I suspect the culprit is often vetiver, or vetiver mixed with another note. Vetiver, interesting — you may be right. Vetiver smells like green dirt to me, or ought to — it’s so often a molecular fraction and most of the dirt part is gone. There is definitely vetiver here but I find it mild at most, and not very earthy. Oh man, I really wanted to love this one. I read the list of notes, and promptly decided that I would ignore the fact that it includes my nemesis, tuberose. Sadly, my perfumista’s adaptation of la la la I can’t smell you didn’t work. LOL! I can imagine…whatever you don’t love, that is the note that is amplified, right? I completely agree with all of your verdicts! I don’t usually like white florals, but I did enjoy Pichola. It’s worth a shot for people who struggle with white florals, and worth a shot regardless of how you feel about the other scents in the line. While some notes overlap with the other scents, the atmosphere is completely different. Unfortunately, like Mohur, Pichola gets pretty faint on my skin pretty quickly (while Trayee and Bombay Bling last forever)… though that could be because my samples are dabbed. I cannot imagine it dabbed…when I am wearing 7 sprays of something, that’s saying something, because often 1 full spray is too much for me. I have not yet tried Pichola nor Ostara for what it’s worth. I’m one who generally likes her florals soft so this seems just about right. Of the NVCs, my favorites are Mohur extrait, Trayee and Bombay Bling, in that order. I wanted a heavy, winter-weight spicefest but got the light spring floral. Very light. Happily, I have sent my decant to someone who may love it more than I. Duchaufour and I just don’t mesh, style-wise. He’s created about 104 fragrances and I liked one–Ashoka–that I received in a swap but I’d never buy it. I appreciated Ostara for what seemed to me to be a realistic daffodil, but I don’t want to smell like a daffodil. Other flowers, yes, daffodil, no. This one really sounds beautiful. I dunno if I’ll ever try it (it seems smarter to avoid expensive scents when you’re a stay at home mom), but I sure would love to experience some NV for myself. Avoidance is a good tactic sometimes! Wow, my impression couldn’t have been different. 6 sprays would kill me! I’d say it’s a cold weather spicy floral and I’m still not sure I even like it. Will test again :-). Everything smells stronger when one doesn’t like it! Interesting, and glad you chimed in!